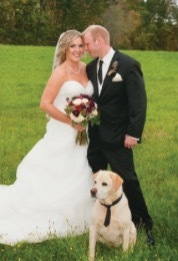 ​Our all-inclusive wedding packages are designed for an easy, stress-free wedding day that also has your budget in mind. 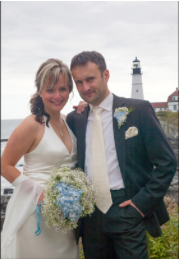 They are especially helpful for our couples who don't have the time or resources needed to research Maine vendors to find the best local bakery, photographer, florist, etc. We have done it for you! If you find that you may only need some, but not all, of the items & services in these pre-selected packages, you may simply choose from our A' la carte menu and request only those services that you need. NOTE: Travel fee may apply for your officiant and your photographer~ depending on location. A 50% deposit is required to reserve your wedding date. Payments may be made via check, money order, or PayPal . Monthly payment plans are also available. Contact us for details and to reserve your date today! * Each of these all-inclusive packages come with the exact same items as listed on the left, but as your guest count gets larger, so does the size of your cake and the quantity of champagne or sparkling cider that you receive. 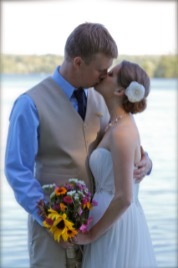 Your officiant will deliver everything in your package right to the ceremony site for you! 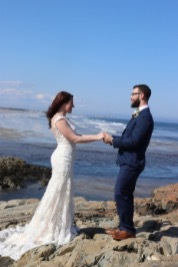 Not only is your ceremony, cake, flowers, champagne, and photos included with this exclusive elopement package, but you also get TWO night's of Luxury Hotel Accommodations in a 5 star Downtown Portland Hotel or a 5 star Oceanview Resort in Cape Elizabeth ~ your choice! * Price may vary depending on the season & hotel availability. 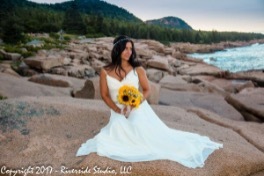 You will also have the option of adding: Limo Service or a Horse Drawn Carriage Ride, Ceremony Musicians, Videography, A Traveling Hair & Make-Up Artist, a Day Of / On-Site Wedding Coordinator, Tables, Chairs, Archway & Linen Rentals as well as Luxury Hotel Accommodations ~ these can be added to any wedding or package! Ask us for a quote today! See additional options on the A'La Carte Menu.